Luxury food stalls, shops and restaurants set in a gorgeously ornate market hall. 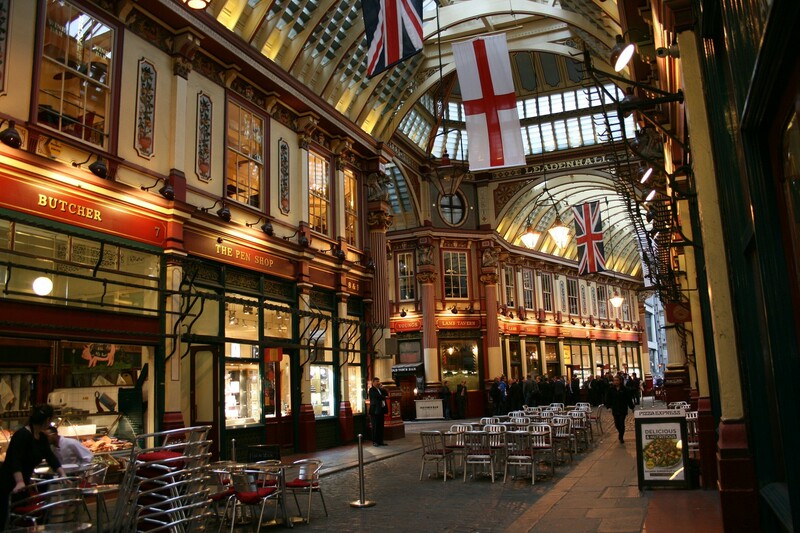 Leadenhall traces its history as a market site back to the 14th century. The building today is remarkable enough in its appearance to attract visitors. While it houses a variety of shops, restaurants and bars, the market is primarily based around the sale of high quality fresh food. The current building was designed in 1881 by Sir Horace Jones, and remains a luxuriously ornate shopping environment. 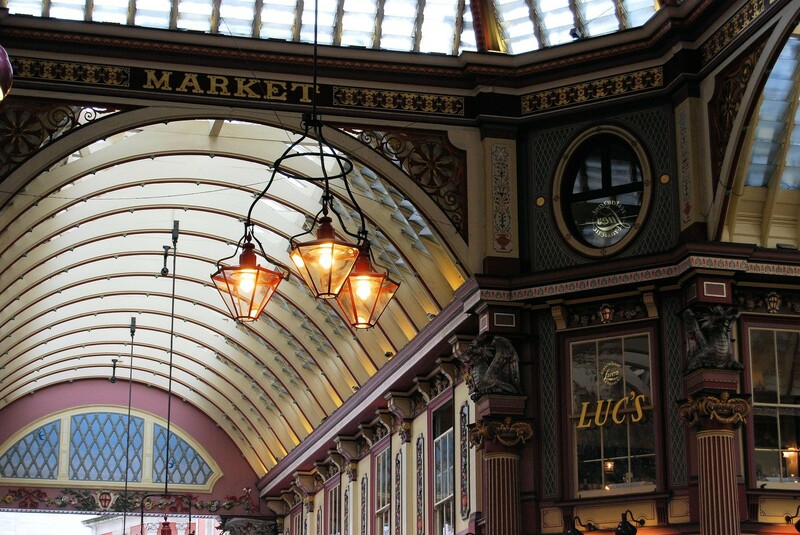 Even Hollywood has cashed in on its magical air, using it as Diagon Alley in Harry Potter and the Philosopher's Stone, and again in The Imaginarium of Doctor Parnassus. The market has a reputation for quality, but the gorgeously colourful interior is reason enough to wander its passage-ways.